What Wagon Should I Buy? — Auto Expert by John Cadogan - save thousands on your next new car! What Wagon Should I Buy? QUESTION: Hello John, love you no nonsense video advice on purchasing a car. (Watch it here >>) We are looking to purchase a new (or used) small to medium wagon. We are not real fans of SUVs. Our requirements are roof racks, ability to add a tow bar and preferably leather seats. We are looking at the Renault Megane wagon, Hyundai i40, Hyundai i30 and that's about it really (you have scared us off the Cruze). Any advice? In a sense buying a wagon is easier than buying an SUV - because there are fewer choices. 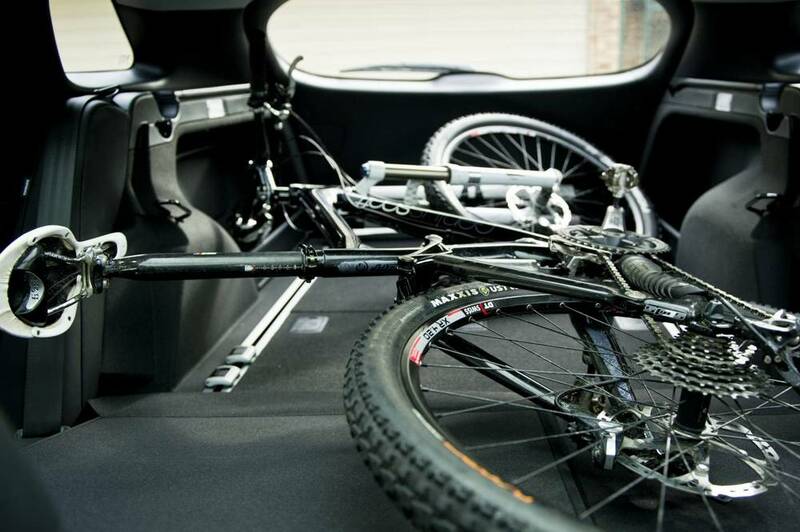 They're more practical, too, if you don't need the ground clearance or the semi all-terrain ability. You also get more car for your money, generally, and better on-road dynamic performance. Here's a summary of your short-list plus some other suggestions. Hyundai's i40 represents a lot of car for the money. In a nutshell: good handling, quiet inside, excellent equipment levels for the money. However, the petrol engine is anorexic. This is a 2.0-litre engine in a car that weighs almost 1600kg before you load it up - which is the automotive equivalent of a fat man running uphill. It's essentially the same engine as in the i30, but carrying around a lot more car. The only engine to get is the 1.7-litre diesel. The diesel makes less peak power, but much more torque (320Nm as opposed to the petrol's 213Nm) - but the full story is the diesel makes significantly more power at low revs, which makes it far better to drive as long as you're not attempting a lap record anywhere. Unfortunately the diesel is $2600 more expensive than the petrol. The Hyundai five-year/unlimited kilometre warranty is a major advantage if you intend owning the car that long. However, it is very tempting at this price-point to spend 10 per cent more and get a Mazda6 (see below). If you can get away with an i30 (as opposed to an i40) then the i30 is a better car all round. (As in: a better-thought-out package overall.) Interestingly there's no 'premium' wagon in i30: the i30 wagon range comes in only 'active' and 'elite' specification grades; the hatch adds 'premium' and 'SR' as well as 'trophy'. Again, the wagon comes with a comparatively anorexic 1.6-litre petrol engine (98kW & 163Nm) and a relatively potent 1.6-litre diesel (94kW and 260Nm). So basically you get 60 per cent more torque at half the revs with the diesel, which makes it the preferred option by far - except if you're paying for it, because it costs an additional $2600. The Hyundai five-year/unlimited kilometre warranty is a major advantage if you intend owning the car that long. This is the pick of the wagons if you are on a strict budget. If Peugeot has done one thing with the 508 wagon it's make the range easy to decipher. There's a petrol and a diesel (both autos) in the 'allure' grade, and a diesel auto 'GT' that's basically $13,000 more than the Allure diesel. The 508 is authentically European, as opposed to the Hyundais, which try hard to fake it (by using the word 'tourer' in official communications, plus by having a design studio in Europe and, in the case of the i30 wagon, being built in the Czech Republic). The 508 is basically a nice wagon to drive, but the GT is over-priced because it's better ... but not $13,000 better. 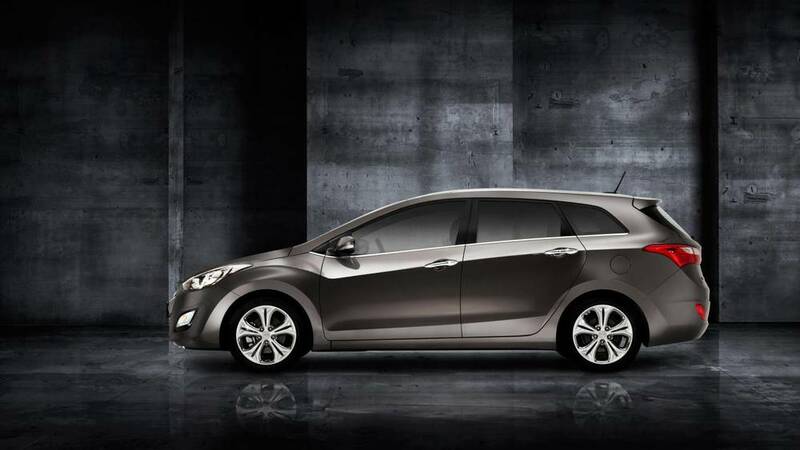 The Peugeot's 1.6-litre petrol engine is something Hyundai could aspire to on the petrol front. It makes 115kW & 240Nm, which is a significant upgrade on the i30 petrol and even beats the i40's 2.0-litre engine on peak torque (but not power). Unfortunately, you need to tip premium unleaded into the 508 petrol. Because it's turbocharged, the petrol's peak torque is unbelievably low, at 1400rpm - basically less than half the revs of a conventionally aspirated petrol engine. The 2.2-litre diesel is an outstanding engine, with 150kW and 450Nm - unfortunately only in the GT. 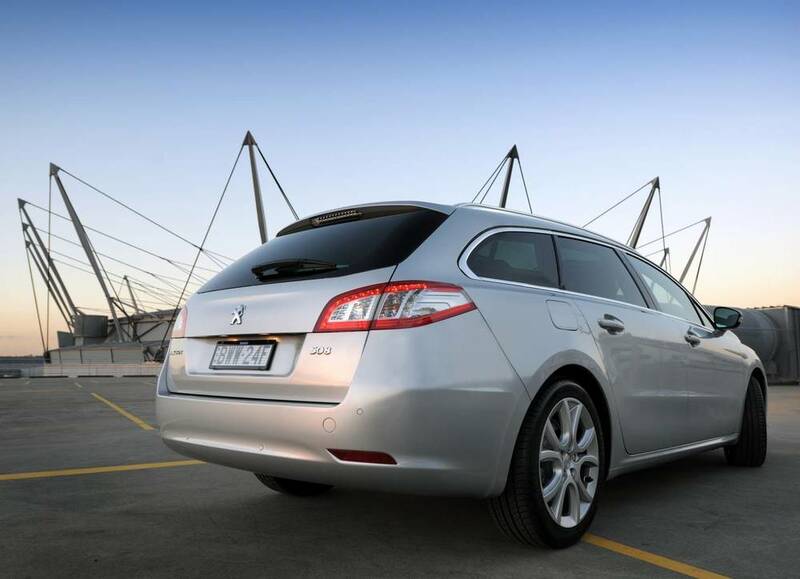 The Allure's 2.0-litre diesel is a strong engine in its own right: it's $3500 more than the petrol. That's a significant extra spend, but at least it comes with substantially uprated performance. 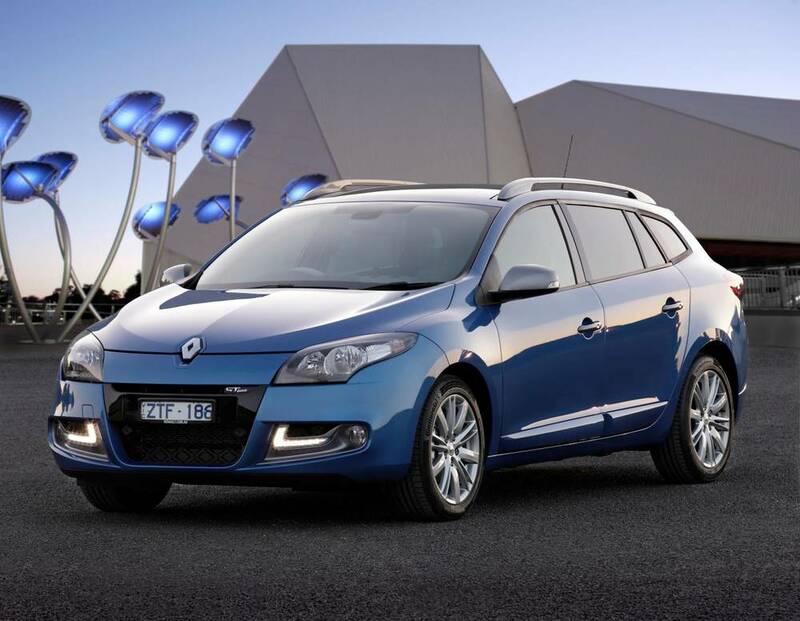 Basically the Renault Megane wagon comes in Dynamique, GT-line and GT 220 specification grades. The GT 220 is a RenaultSport thing - probably not what you're looking for, given that you are also considering Hyundai i30 and i40. RenaultSport is a serious performance thing - unpleasant to drive if you're not into performance cars. So that brings it down to Dynamique and the GT-line. 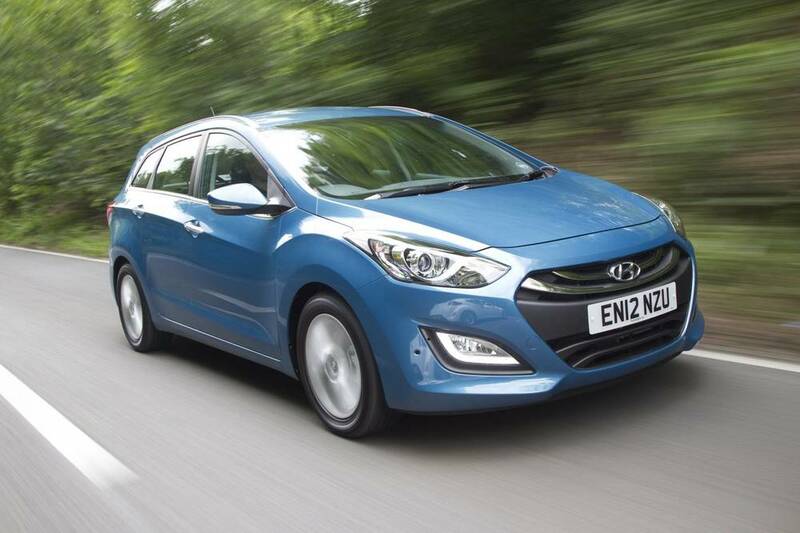 Dynamique is a 2.0-litre petrol with a CVT transmission - a cheapie, basically. Cheaper than an i30 wagon. The 2.0-litre engine delivers anorexic performance (again) with 103kW and 195Nm in a vehicle weighing about 1450kg. Again, the diesel's the pick - 81kW and 240Nm. Basically, this is the pick of the litter. The 2.5-litre Skyactiv engine punches out 138kW and 250Nm - so it's the one here that's really not anorexic (OK - the Peugeot is close). And the diesel is a cracker: a 2.2-litre twin turbo unit with 129kW and 420Nm. Outstanding.